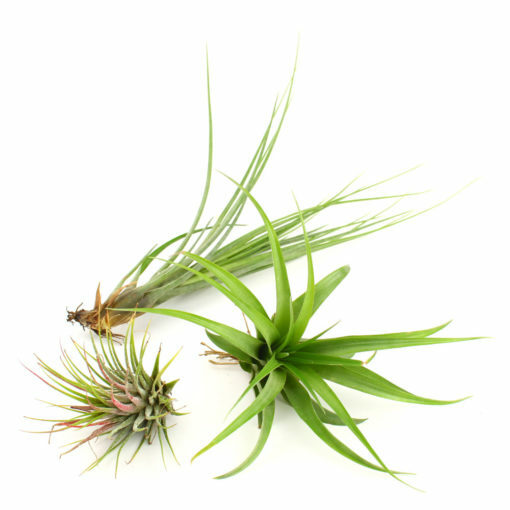 This gorgeous assortment of tillandsia air plants was designed as a refill pack for our best-selling Arrowhead terrarium kit, but if you’d like a sampling of our most popular air plants, this is a great choice! This three-pack includes one of each of the following tillandsia varieties: tillandsia ionantha, brachycaulos abdita, and tricolor melanocrater. 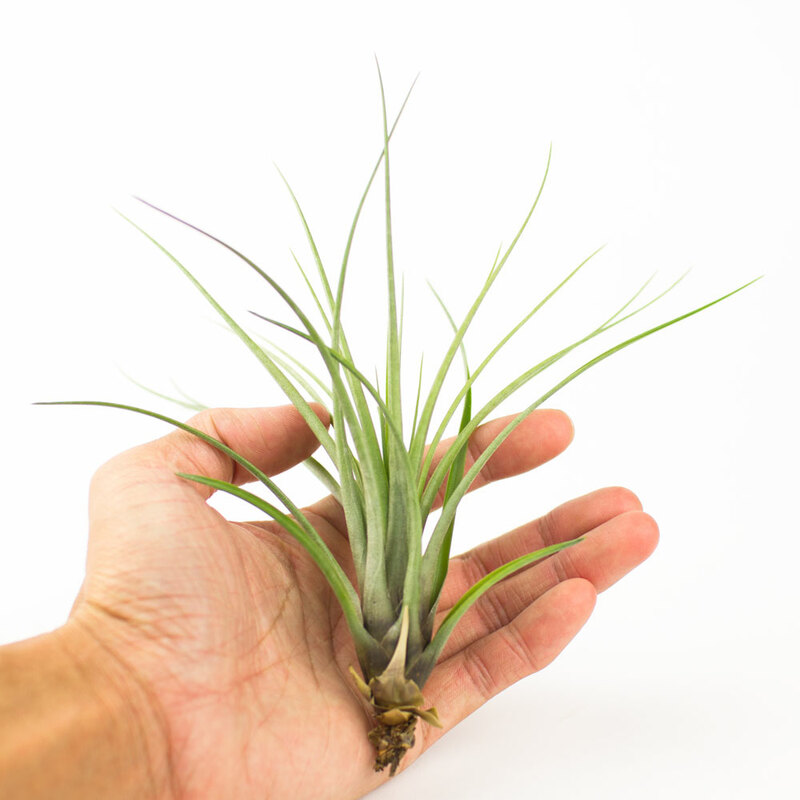 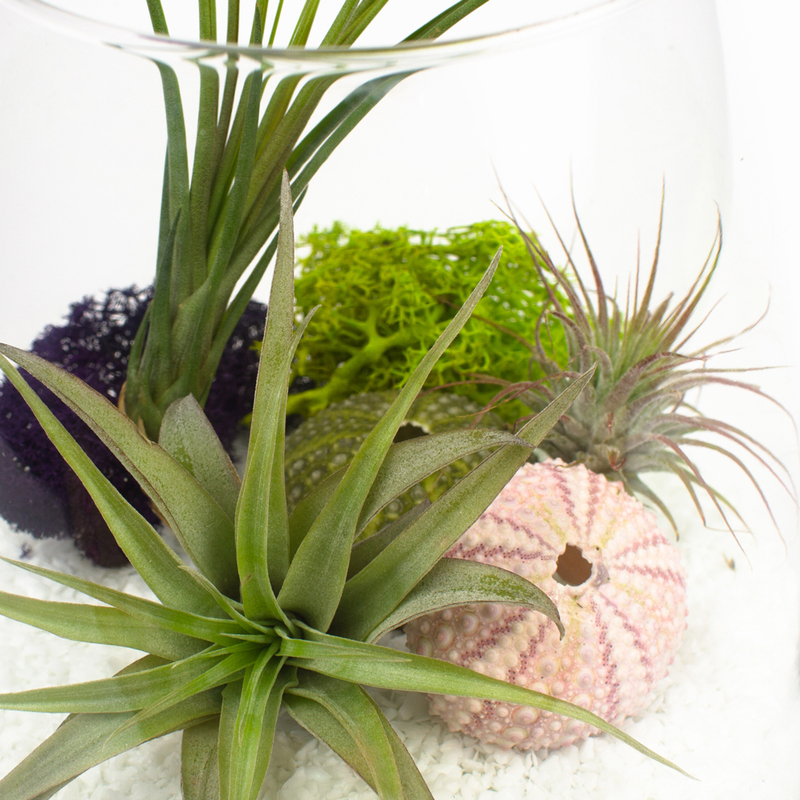 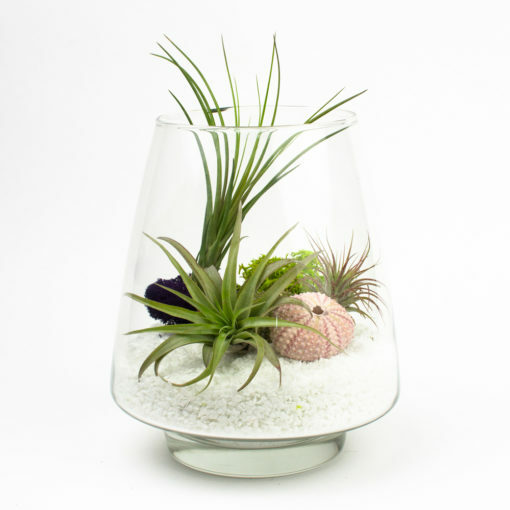 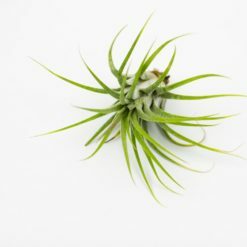 These air plants are so unique in that they don’t need any soil to grow – just plenty of bright light, fresh air, and an occasional water bath. 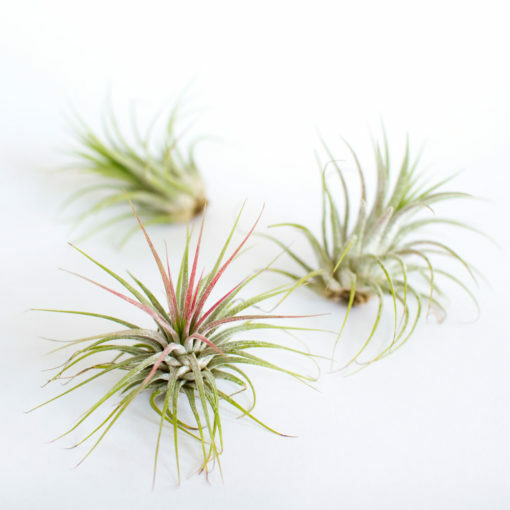 Tillandsia tricolor air plants are are tall, elegant and look like flowing grass with bright green leaves that turn bright pink during blooming season. 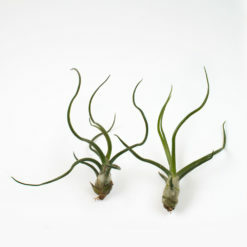 They are very strong and hardy plants with leaves that feel tough and rigid. Each plant measures around 5-7 inches long. Tillandsia tricolor melanocrater comes from Central America region. They usually live on larger trees and rocks and don’t need to grow in soil – they absorb nutrients and water through their leaves. When they bloom, they produce a bright purple and pink shaft with little yellow flowers at the end. 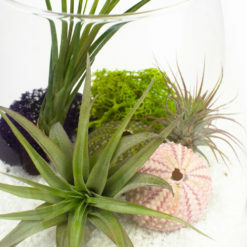 Their leaves will also turn a bright hot pink color. 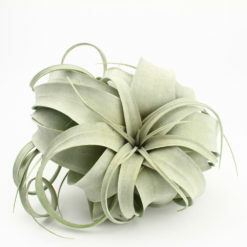 It’s really spectacular! 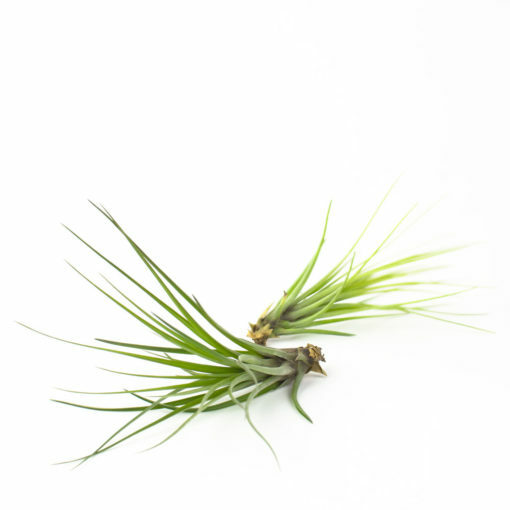 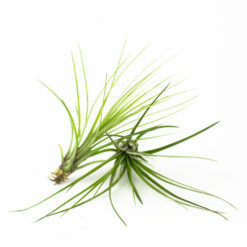 Tillandsia Brachycaulos Abdita air plants can be used to add a splash of green to any bright place in your home, office, or outdoor space. They measure around 4-6 inches and have soft curled leaves that vary in color from a deep grass green to lighter more yellowish green with pink tips. When in bloom, these tillandsia have beautiful purple shafts with yellow flowers. 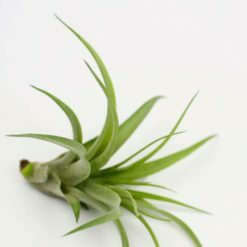 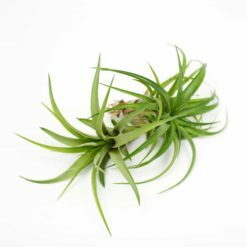 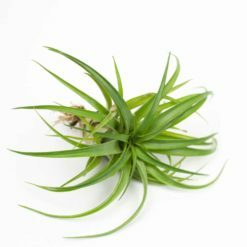 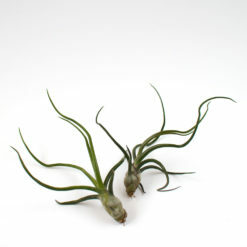 Tillandsia ionantha air plants are small, cute, and versatile – use them to decorate almost any bright place in your home, office, or outdoors. 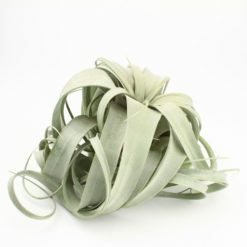 The longest leaves are about 2.5 inches long and colors range from dark green to sage and some even have splashes of pink. 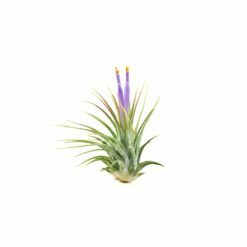 When in bloom, their leaves turn bright pink and they grow delicate purple shafts with little yellow flowers at the end.